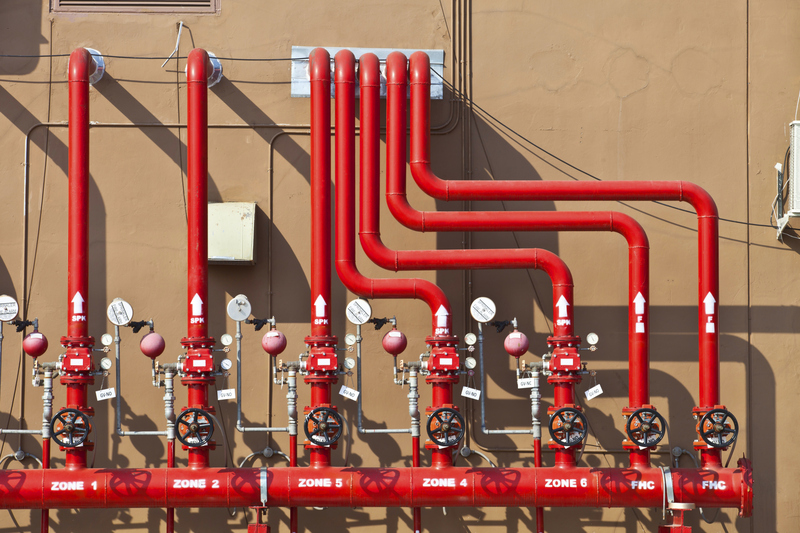 If you own or manage a commercial building, whether it’s a factory, school, apartment complex, or another type of building, a sprinkler system is required to be installed. Fire sprinklers are one of the main defenses for your commercial building and your property when it comes to commercial fires. Without a sprinkler system in place, a fire will have the ability to burn freely throughout your building, which can cause irreversible damage. If you are in need of a new fire sprinkler system, you have four main options to choose from. It’s important for building owners and managers to have an understanding of the fire sprinklers before they make a major decision about their new system. Wet Pipe System- This sprinkler system is constantly filled with water, which provides a fast release when a fire is detected. Because of this, the wet pipe system is most commonly found in commercial buildings, especially those with several floors. This system is also considered the most cost efficient and typically requires the least amount of maintenance. 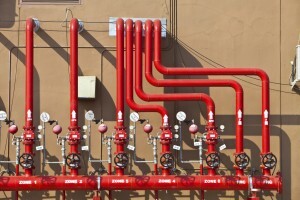 Dry Pipe System- This system implements air pressure and water. The air pressure is kept in the pipes and is released prior to the water when a fire is detected. While this does cause a brief delay in water release, it helps to prevent freezing in the pipes during cold temperatures. This makes this sprinkler system ideal for commercial buildings that experience extreme lows rather than buildings in milder climates. Pre-action System- This system also implements air and water along with two different triggers. This helps to prevent water damage should a detector be set off by accident. Commercial buildings that contain sensitive materials tend to use pre-action systems to help control fires when they do occur while also protecting against false alarms and water damage. Deluge System- This system uses a fire alarm or smoke detection system before releasing anything. Industrial buildings and warehouses that use flammable liquids tend to use this system because it is uses open nozzles to cover a large surface area. This entry was posted on Friday, October 9th, 2015 at 5:44 pm. Both comments and pings are currently closed.